If there's one thing I know about Kendra, it's that she has a magnificent smile! 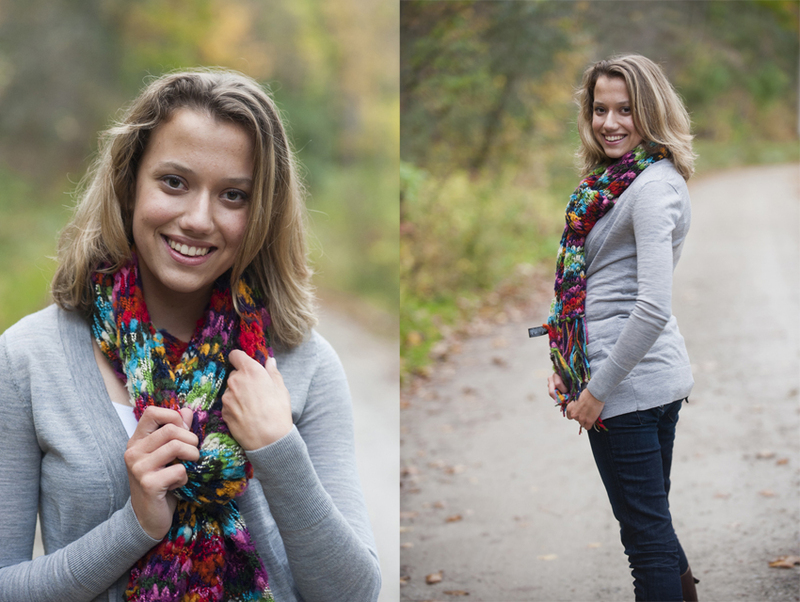 She showed it off over and over during our fall-inspired photo shoot for her senior year. Kendra's the oldest of four (just like me!) and has been keeping herself busy with school and scooting around town in her adorable light blue bug! I love this photo! Even includes Kendra's signature bite-of-the-lip look! 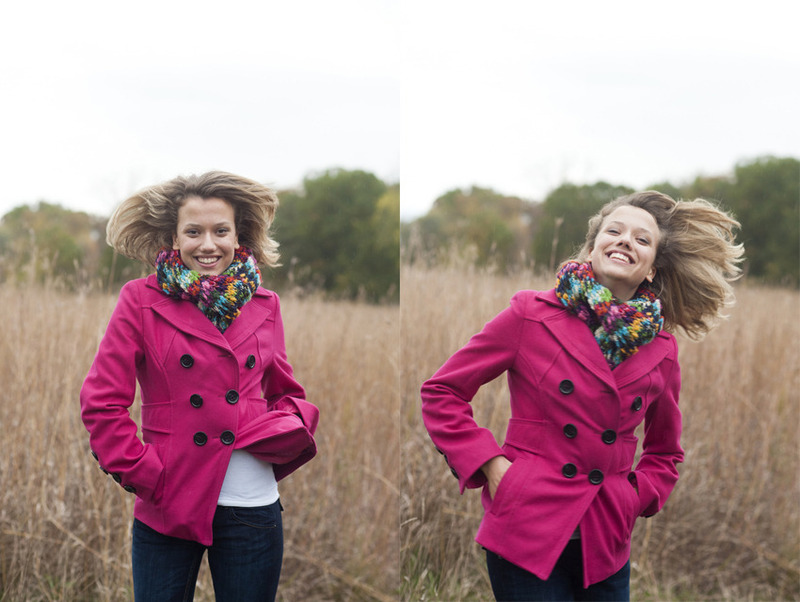 Time for a wardrobe change, love Kendra's bright pink jacket! Wishing you super senior year, Kendra!